In late spring of 2016 Oderings suddenly found ourselves having to vacate premises in our Oderings Hamilton store, which we originally opened back in 1998. With such a short timeline, this family business, whom are dedicated to Hamilton city, struggled to find a premises to open and continue trading from for our wonderful Waikato customer base. Luckily, while we continue to look for a location for another garden centre within Hamilton, we have managed to find a property on the outskirts of Cambridge to open our doors to a fabulous community of keen gardeners. 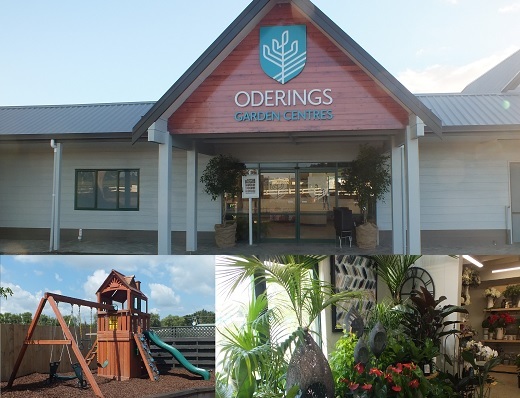 The new Oderings Garden Centre is located on 1689 Cambridge Road, just off the motorway leading out of Hamilton and into the Cambridge township. The exciting thing about this move is Oderings can show a glimpse of the new look of Oderings stores, which we have rolled out at our Oderings Cashmere store in Christchurch and will install at the Philpotts Road stores in Christchurch after Easter this year. This new-look Oderings Cambridge store has an undeniably relaxing but rural atmosphere and is within easy travelling distance from both Cambridge and Hamilton. Oderings are grateful that we have been able to retain most of the brilliant, knowledgeable staff from the old Hamilton store, and they are excited to have a lovely, fresh environment to welcome you to. Ellen and her team hope you will make the visit to come and see this fabulous new store this March, and we are excited about finding some great new customers and hope to welcome back many of our regular customers.